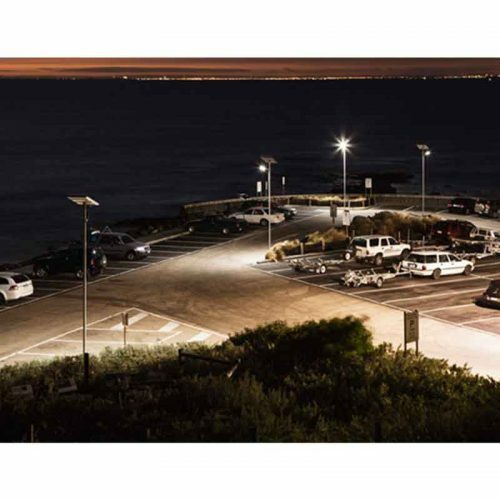 The Stand-Alone Battalion Light from Specialized Solar Systems is a Freestanding Security Light that provides a high-powered spread of light up to 100m x 30m for security and many other applications for your home or business. This light will save you money on your electric bill as well. 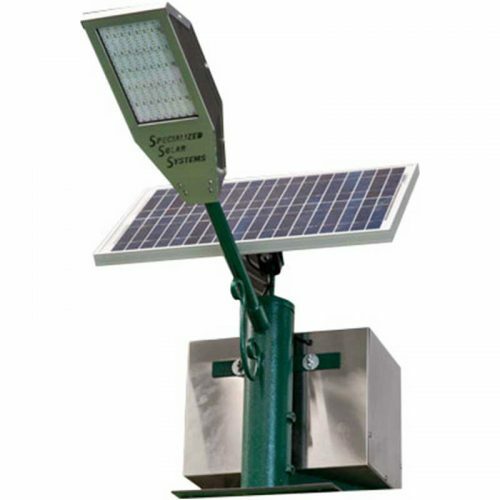 This dependable, top-rated, and easy-to-install, stand-alone floodlight has a wide range of applications and is perfect for illuminating large arrears such as walkways, driveways, garages, decks, sheds, and more. Installation of the Stand-Alone Battalion Light is an easy Do-It-Yourself project. 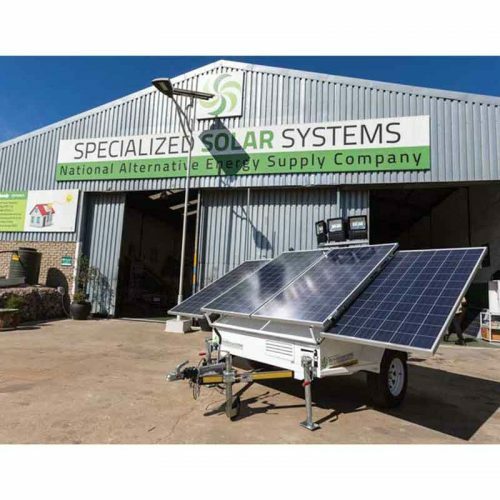 That’s because it is very simple to install – there are no wires, no electricity needed, and no operational costs. 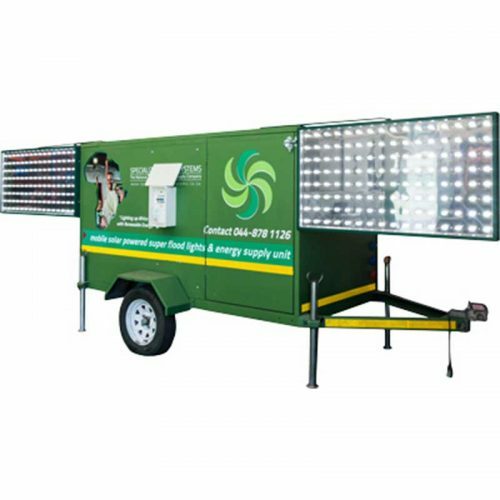 The basic set-up is to mount the Stand-Alone Battalion Light in a sunny location by the desired area you would like to ligh and the sun’s rays do the rest! 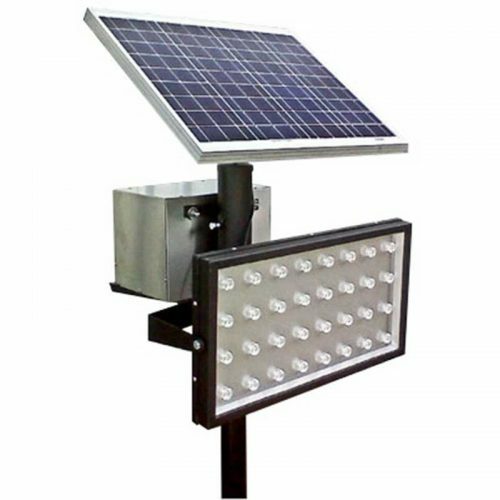 This solar floodlight is an ideal and smart choice. It adds a sense of security to your home or business that will go a long way in intimidating would be thieves, plus fending off intruders and possible attackers. 2m, 600mm from 0° Angle 570 LUXof the unit. b. The battery only cycles at 14% of total capacity ensuring for longevity of battery lifespan. c. The battery has sufficient storage for 6days of usage without charge.